Three years after the publication of his much-heralded, Pulitzer Prize-winning novel, The Known World, Edward P. Jones returned with an elegiac, luminous masterpiece, All Aunt Hagar's Children. In these fourteen sweeping and sublime stories, Jones resurrects the minor characters in his first award-winning story collection, Lost in the City. The result is vintage Jones: powerful, magisterial tales that showcase his ability to probe the complexities and tenaciousness of the human spirit. 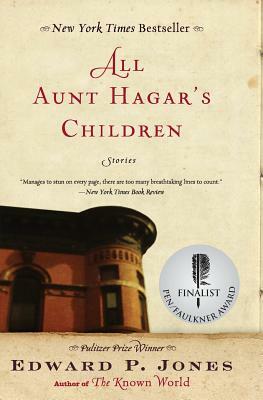 All Aunt Hagar's Children is filled with people who call Washington, D.C., home. Yet it is the city's ordinary citizens, not its power brokers, who most concern Jones. Here, everyday people who thought the values of the South would sustain them in the North find "that the cohesion born and nurtured in the south would be but memory in less than two generations."